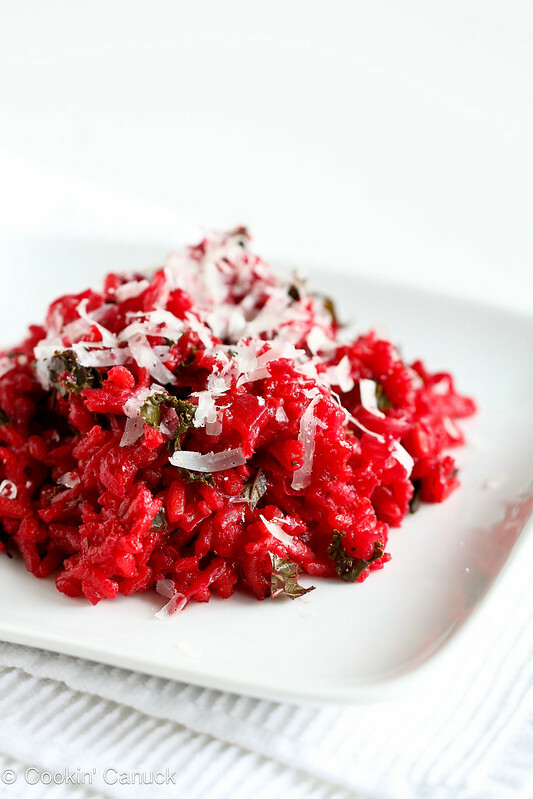 The vibrant color of this one-pot beet, rosemary and kale arborio rice pilaf make this a show-stopping side dish or vegetarian meal. 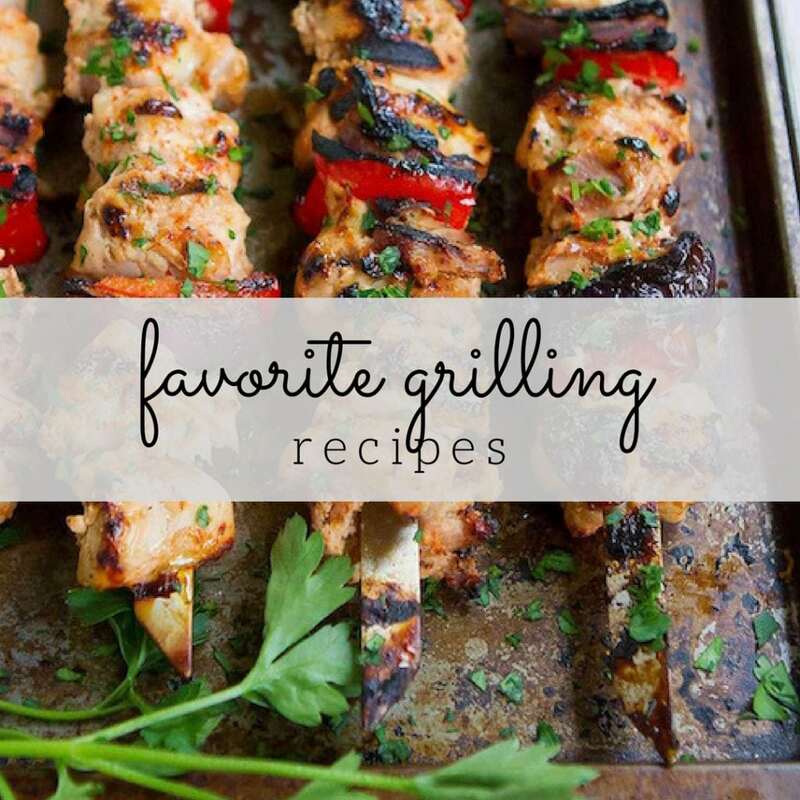 Thanks to McCormick Gourmet for helping me share this recipe with you. This week I felt as though I was on the Food Netowrk show, Chopped. Well, minus the judge who goes ballistic when anyone dares to serve him raw red onion (first world problems, buddy), or the crazy ingredients (foie gras with licorice for dessert, anyone?) 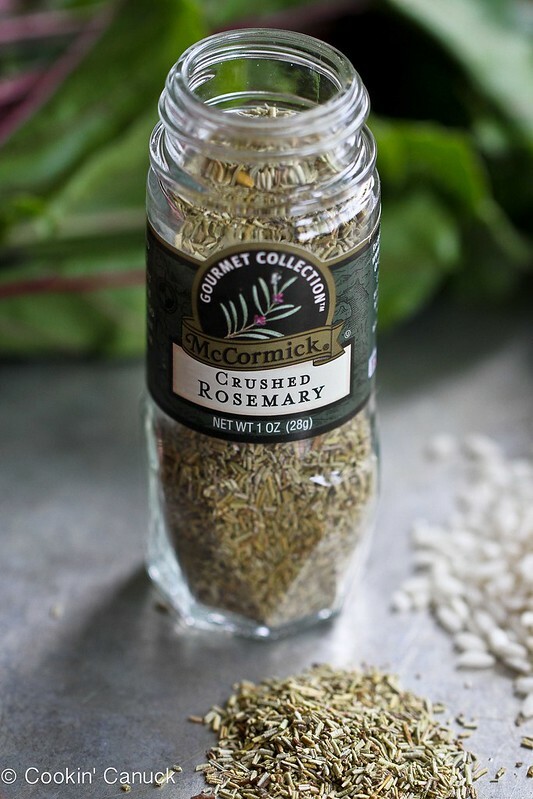 As part of their Go 4 Gourmet Contest, McCormick Gourmet presented me with dried rosemary, beets, arborio rice and balsamic vinegar, and threw down the gauntlet. As much as I love using arborio rice for risotto, a labor of love for any home cook (stir, stir and stir some more), I wanted to come up with a recipe that could be made with a lot less effort. This rice pilaf requires only 15 minutes of prep time and about half an hour of inactive, cooking time. In other words, you get to walk away and do something else while the rice simmers. Because of the qualities of Arborio rice, this method still produces a risotto-like texture. 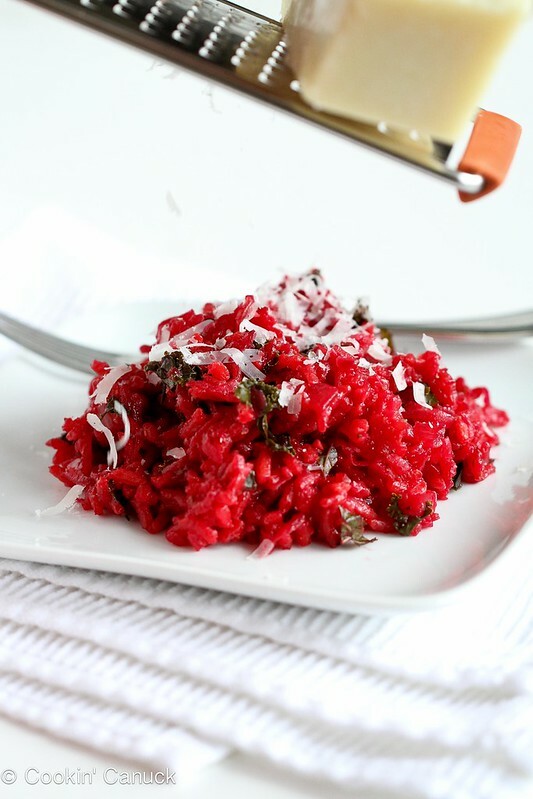 Knowing that my kids probably wouldn’t be thrilled if they encountered chunks of beet in their rice, I grated it instead. 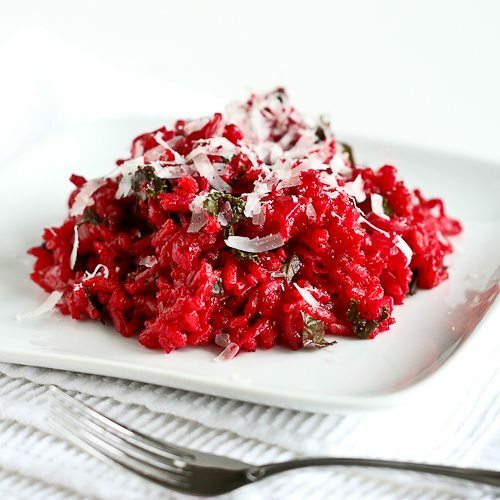 The color produced by the beet juice seeping into the rice is like a tribute to the Psychedelic Furs (you know, “Pretty in Pink”), and acidic balsamic vinegar and salty Parmesan cheese balance the sweet vegetable. The rosemary sits underneath it all, lending an earthy flavor. My kids actually gobbled this up, and were even more elated when I mixed in some browned chicken sausage. In fact, my eldest son asked me to put some of the leftovers in his lunch box…partly so that he could freak out his friends with the color, but mostly because he was diggin’ the flavors. 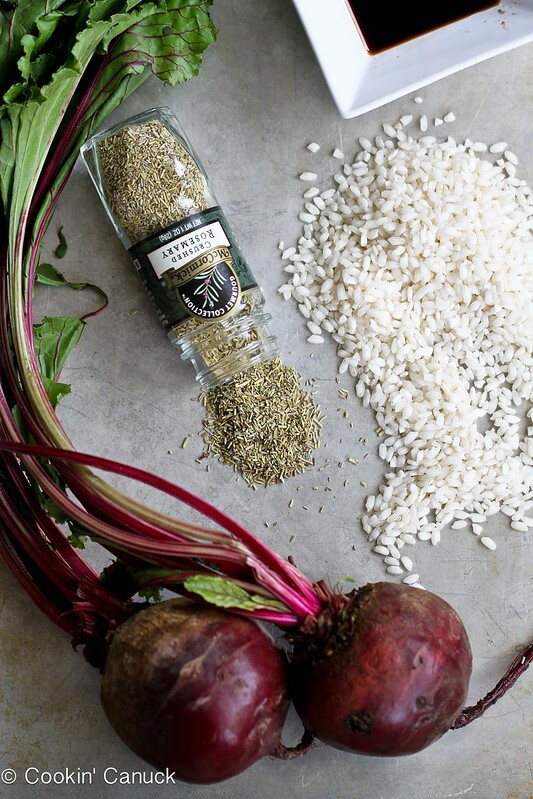 So, what if beets, rosemary, Arborio rice and balsamic vinegar were on your countertop? What would you make? Add the onions and cook until they are tender, about 5 minutes. To the onions, add the rice, garlic, vinegar and rosemary. Stir, cooking, until the rice is coated, about 1 minute. Stir in the beets, kale and vegetable broth. Bring the mixture to a boil, then cover and reduce heat to medium-low. Cook until almost all of the liquid is absorbed, 25 to 30 minutes. Season with salt and pepper. Serve, grating 1 tablespoon Parmesan cheese over each serving. Disclosure: This post was sponsored by McCormick. All opinions are my own. This post contains links to my Amazon affiliate page. Any revenue made from sales through these links helps to support this blog. Thank you! It is so pretty, Dara! That color is just incredible! I love that this is made all in one pot and that the prep time is 15 minutes! So perfect for busy nights! Thank you, Tieghan! I just love the color that beets impart. And yes, the short prep time makes it even better! I am a beet fanatic!! This recipe is absolutely fabulous Dara! Thanks, Katrina. 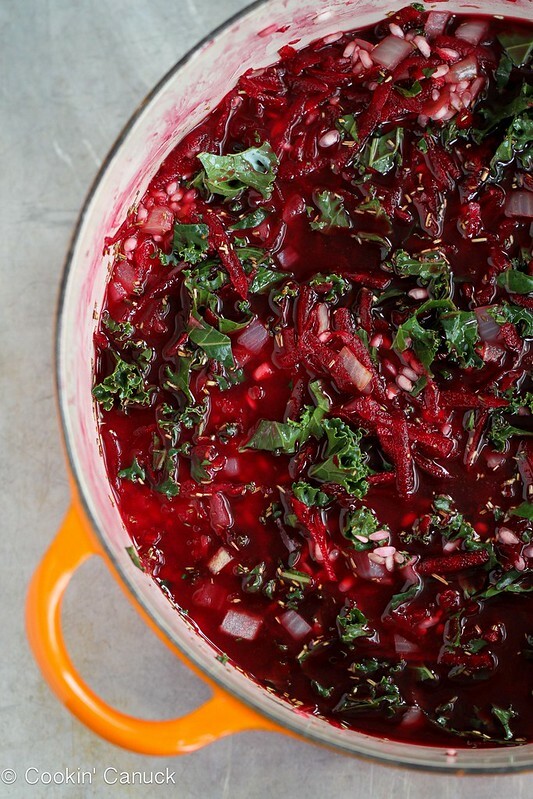 I’ve fallen in love with beets and I love how this recipe highlights their flavor. Thanks, Lindsay! I’m heading over to check it out. I can’t wait to see what you came up with! What a different recipe! The colour is gorgeous! I love beets although many people don’t. I definitely see why your son was so excited about this in his lunch box LOL. He had a great time shocking his friends with the color! So vibrant and delicious! Gorgeous Dara! Love this photo and the white on white : ) Plus I bet this tastes amazing! Thank you, Gina! It was fun working with such a vibrant ingredient. Looks delicious, Dara! Love the bright color! Thanks, Sommer. The beets really made their mark. And I love how well they went with the rosemary. 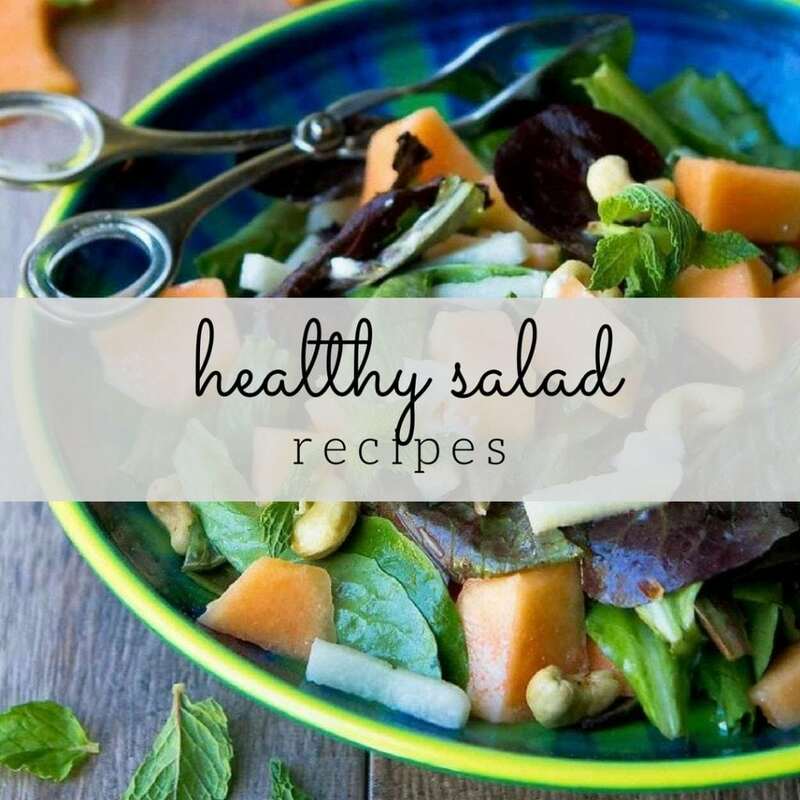 Loving this recipe!! And, I’m so glad that I have beets to use! The color is stunning and I can’t wait to try this! Thank you! I hope you have a chance to try it. Thanks, Manju! I’m not entering myself, but I’m looking forward to seeing what everyone else comes up with. That color! SO pretty! And I love the flavors in this dish! Beautiful color! So vibrant! And I love that it takes less than 15 minutes to prepare! I quickly snarfed up all the beet greens in the farm share, but haven’t touched the beets just yet. This rice is so pretty! Thanks, Kirsten! The beet greens are always such a wonderful bonus when I buy beets. 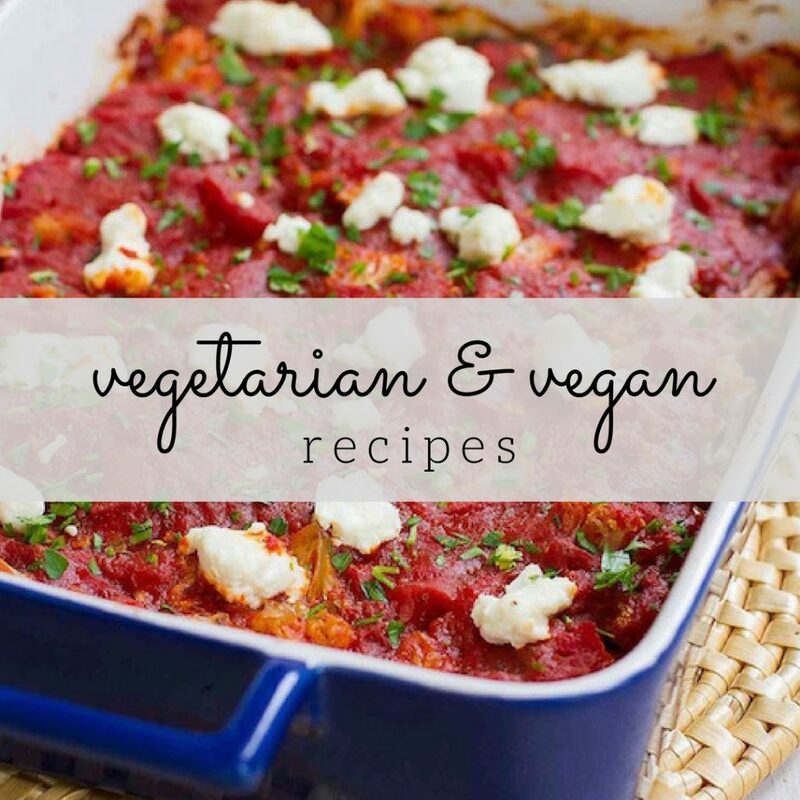 I plan on making this as my vegetarian/vegan option at Christmas dinner! The colors are just perfect 🙂 I am going to add some peas for the red/green theme and I just love the sweetness they bring! This was fantastic and I only made two changes – a bit of pancetta (a little goes a long way) and beet greens instead of kale (since I had them, I figured I’d use them). So simple and delicious! 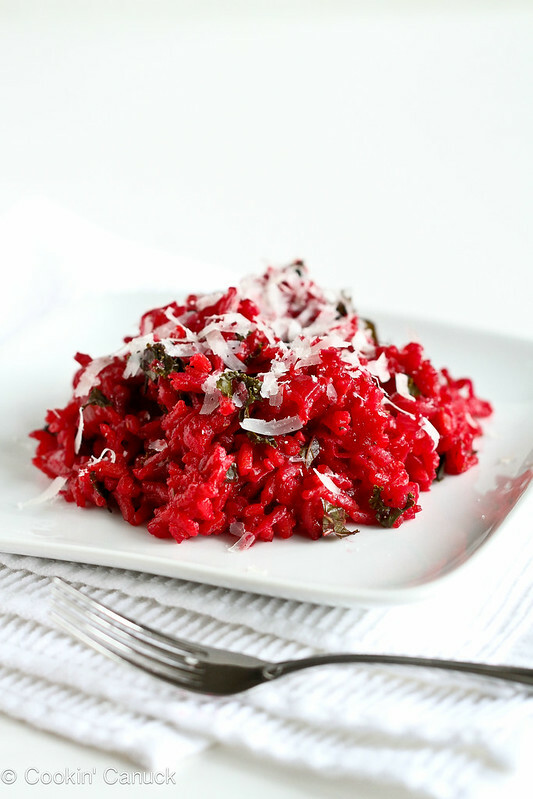 What a great use of beets and a wonderful non-creamy risotto recipe! I Googled easy beet recipes for tonight, found yours and made it. It was so good my five year old picky eater ate seconds! This is definitely going in the rotation. Thanks! Laura, that’s wonderful! I’m so glad that it was a hit with your whole family. Thank you for letting me know. I’ve made this several times and it’s great. I’m wondering if you think the flavors will work with Golden Beets as well? I have a bunch I need to use up. Thanks!